Big thanks for this. Wonderful tutorial, really. Everything works flawlessly, and my MacBook Pro connected smoothly to the Time Machine share. This also taught me a lot about clever ways how to use group shares. Hello, I am using an HP similar to yours (min is a Microserver Gen 10). I am encountering pretty slow performances over wireless. Everything is on backups over ethernet, but on wireless Time Machine seems sleepy. I did some tests with iPerf3 and my wireless connection is good and stable (~400Mbit/s on 802.11ac) and transfering files from my Mac to my FreeNAS over wifi is pretty fast. Do you think I could check some settings? What’s your backup speed experience? 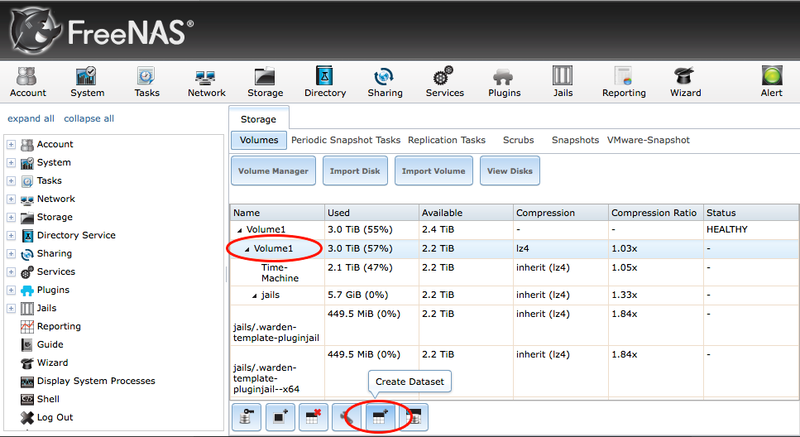 I have tried this guide in FreeNAS 11.1-U2 and everything still works, only a minor change, the quota was set on AFP-share not the dataset. I followed the guide exactly, but when I go to “Select backup disk” it is not showing the disk. Any way of troubleshooting this? Any ideas? Fantastic step by step – worked like a charm!!! Setting this up for the first time, got all the way to the end and got a “Backup Disk Not Available” error from Time Machine on the Mac. Anyone else encounter this and have a fix? Thank you for this. I recently got engaged to someone with a Mac. This guide made the process of setting up her Time-Machine on my server a cinch. Great tutorial. 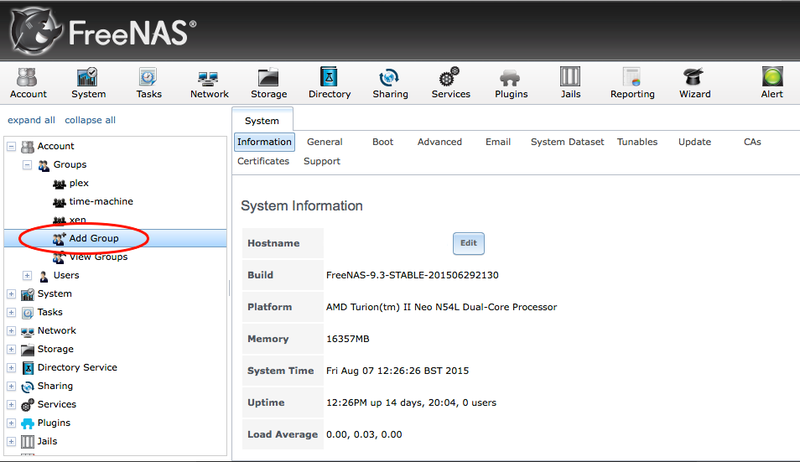 I’m new to FreeNAS and this works perfectly. Thank you. It is a great and simple to follow guide. Thanks. I have few questions though. 1. 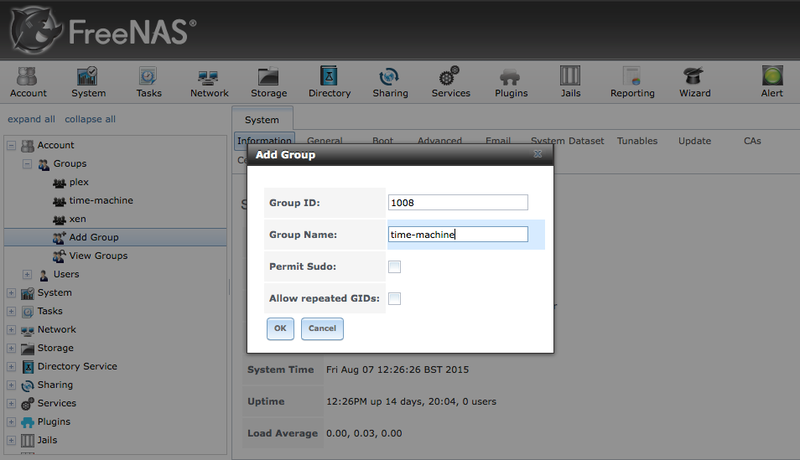 Have You ever tried to back up/ restore from Your FreeNAS machine? Did it go well? 2. How do You deal with several Macs backing up to one dataset? Did You create more shares, or adding a group to share is all it takes? 3. How do You manage quotas per user? 1. Backing up goes great. 2. I have two macs backing up to the one dataset, just the one share, it works great. 3. No quotas per user. If you want this then you would have to create an individual share per user. Note that this is not how Apple manages their own time machines either. When space is tight it deletes the oldest backups. 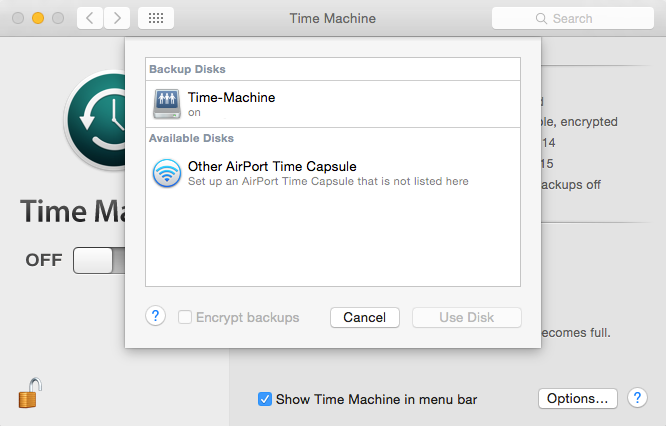 On an OS X server I manage, which is used as a backup destination for Time Machine clients, I do set the “quota” per user even though all users share one and the same share of a big size. This has worked literally perfectly for soon to be ten years. Each client is restricted to the size I set in the -size argument to `hdiutil`, and as usual deletes its own oldest backup when needed, and everyone gets their own share of the disk space on this share/partition. 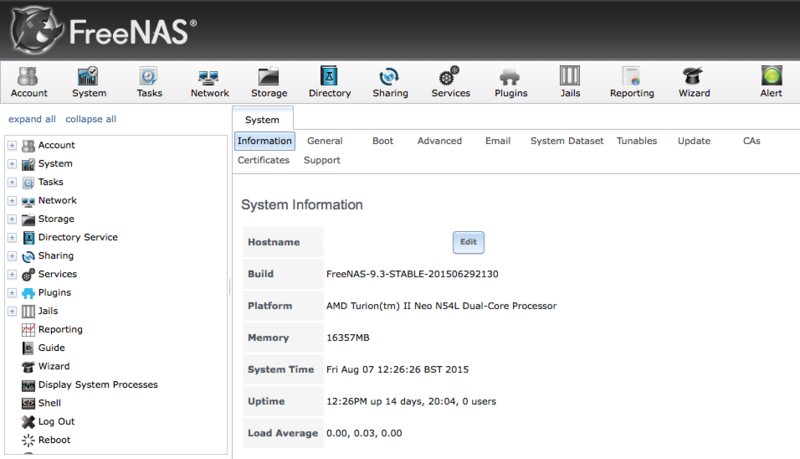 The above is done on the server, I’m curious if there’s equivalent commands on the FreeNAS? Can it manage sparsebundles like that, and lock files?